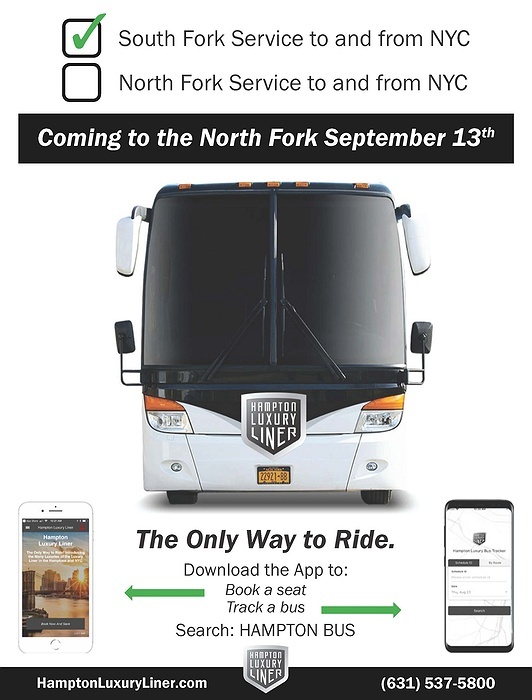 Subject: LongIsland.com - Your Name sent you Event details of "Hampton Luxury Liner's NYC-North Fork Service"
Beginning on September 13th, Hampton Luxury Liner will be providing service between New York City and Long Island's North Fork. 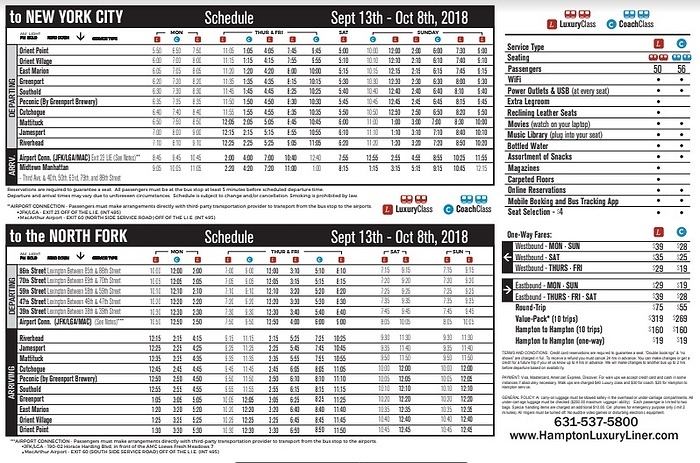 Enjoy a leisurely ride between the two destinations on the spacious and comfortable Mercedes buses. Coach class includes complimentary WiFi, power outlets, movies, music library, and more. Luxury Class includes these amenities as well as extra legroom, reclining leather seats, magazines, and carpeted floors.